PokerStars NJ Casino is a 100% legal and secure online gambling website. The Amaya group, one of the largest gambling corporation in the world, own PokerStars. Everyone is familiar with this Poker brand. They have a heavy online presence both in regulated and unregulated markets. 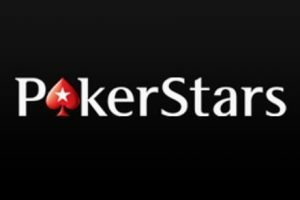 PokerStars has also made the headlines in 2012 by refunding all players that were defrauded by a then competitor after buying them out. Because of this act of kindness, PokerStars has earned the respect of many online gamblers. PokerStars is a publicly listed company that is worth billions. It’s a respected brand in the Poker industry. They are also making a good name for themselves in the online casino community because they offer really good progressive jackpot games and have already made many millionaires. Keep on reading to find out how to play on PokerStars Casino. When visiting PokerStars NJ Casino there’s no shortage of fun! PokerStars product includes Poker, Blackjack, Roulette, and Slots. Unlike other Online Casinos in NJ to access the wide array of products offered by this brand, players will need to download and install the casino client. This is because the PokerStars games are not available in a browser. The desktop client is downloadable via the home page the website. Alternatively, players can also install the PokerStars NJ Casino app available in the app store of iPhones and Android devices. PokerStars approach to online casino is very social! In fact, they are the only online gaming company to have multi-players tables enable for their non-live dealer product. This means that players can enjoy table games with friends from the comfort of their homes. Alternatively, players can also join other ongoing games and chat with the players sitting at the table for extra interaction! If you’re trying out Blackjack for the first time, you’ll love the chat widget in the game lobby! This is because you’ll regularly get tips and comments on your action from other players. Blackjack games are available in both real money or fun mode. But also single or multi-players mode. They have a great range of table minimum. Additionally, you might stumble upon famous poker players on blackjack! Daniel Negreanu is often on medium to high limits Blackjack tables. Perhaps he’s waiting for a poker tournament to start? PokerStars Casino Nj is a great place to play. If you need to brush-up on your blackjack skills. Make sure to visit the dedicated section on this subject available on our website. You’ll find useful tips to get started and make the most of your first blackjack session. The account creation process on PokerStars NJ Casino starts right after you’ve downloaded and installed the lobby! The software is quite large and may take a few minutes to download. But patience will be heavily rewarded since players will have the chance to fully customize the lobby based on their game preferences. The first step of the installation will require players to select a preferred language. PokerStars Nj Casino is available in 29 languages and localizations. After selecting a language players will need to accept the terms and conditions of PokerStars. It’s really worth reading them in details. This is because the T’s and C’s are the official code of conduct players need to obey by when playing on PokerStars Nj Casino. The second step is the account creation. Players should look for the green “create an account” button in the lobby. It’s on the top right-hand side of most devices. The sign-up has 2 steps. First, you’ll need to select a Stars username and an avatar that represents you. Choose wisely as the username you’ll enter is permanent. Your username will be displayed on all tables and leaderboards. After, you’ll need to enter a password and confirm it. Your password should be 8 characters long and is case-sensitive. Secondly, you’ll need to enter your player’s details. First and last name, date of birth and address are required to sign-up. Make sure to enter the correct information. Because you’ll need to provide proof of address and identification on cash out. This is known as the KYC process. After completing the sign-up, click the login button to enter the lobby. By default, all players will see the ongoing poker games and tournaments. If you’re looking to play casino. You’ll need to change the lobby interface to the PokerStars NJ Casino one. To change the lobby interface simply click on the Casino tab at the top left corner of the application. Or Just above the PokerStars logo. The Casino lobby has 5 different sections: Home, Slots, Card & Table, Video Poker and Multiplayer. All games are playable in a demo and real money mode. You can change the game mode with one click. Simply select the real money or play money at the end of the casino lobby menu. Now that you know how to sign-up let’s look at the bonus you can claim on PokerStars NJ Casino. The Promotion section of PokerStars NJ Casino is accessible in 2 different places. First on the website via the promotions tab. Or via the News section of the casino lobby. PokerStars Casino does not have any no deposit required bonus or sign-up bonus. Instead, they opted to offer a larger first deposit bonus than most other online casinos. The first deposit bonus is a 200% bonus up to $400. This means that players who choose to maximize this bonus will have a $600 to play with. To claim the first bonus offer players will need to enter the bonus code: Casino when making their first deposit. The bonus also comes with wagering requirements. PokerStars NJ Casino wagering requirements work differently than most casinos. Indeed, players will need to earn StarsCoins to wager a bonus. To redeem the first deposit bonus players will need to earn three StarCoin per dollar bonus received within 28 days. The amount players will need to wager to earn StarCoins varies on the type of game played. More information on this subject can be found here (https://www.PokerStarscasinonj.com/vip/). clicking on ‘Cashier’ > ‘My Bonus Status’. In web client: ‘Account’ > ‘Instant Bonuses’ In the desktop lobby. Oor ‘More’ (iOS) or ‘Menu’ (Android) > ‘Settings & Tools’ > ‘Account’ > ‘My Bonuses’ for tablet, iPhone and Android users. It’s easy to deposit on PokerStars! They offer the following payment methods. Instant eChecks, Skrill, MasterCard, NETELLER, PokerStars Instant Online Banking, PayNearMe (7 Eleven cash), cash deposit a the Mohegan Sun Resorts Cage, PokerStars Play+ Card and Visa. Players who visit the Mohegan Sun Resort cage to deposit should have their PokerStars account details on hand. Additionally, players will need to show a valid government-issued photo ID. Players may also need to confirm the last four digits of their Social Security Number. Think about it before venturing at the casino to deposit. Additionally, PokerStars also has a quick deposit feature enable for most payment methods. So, it’s really handy for players who are running low on funds. But feel that the machine is just about to payout. Using the quick deposit means you won’t have to leave the game to add fund to your account. It’s easy to reach the customer care department of PokerStars! Simply visit the website and click on the help & support section. Or click the help button in the lobby. PokerStars can only be reached via email. But the agents are very quick to answer. In most cases, players will get a reply within 1 hour. The customer care department is open 24/7. Every day even on public holidays! Additionally, PokerStars has a good FAQ section. So, players would be wise to check it out before filling up the contact form. PokerStars Casino is more for savvy and experienced gamblers. This is because the downloadable lobby can sometimes be a little intimidating for casino newbies. On the other hand, players who are patient and deposit will find more value on PokerStars Casino then any other casinos. PokerStars also has a better VIP shop them most other online casinos NJ. Players can easily convert their point to receive exclusive and much sorted after branded merchandise. PokerStars Casino has a really good game selection they offer games from NetEnt and NYX. Regularly, PokerStars will also be the first online casino to release NYX games. This is because NYX is also part of the Amaya group. So, If you’re looking for value on your first deposit you should definitely sign-up and claim the 200% first deposit bonus up to $400! You won’t find a better deal anywhere else! Good Luck and have fun!